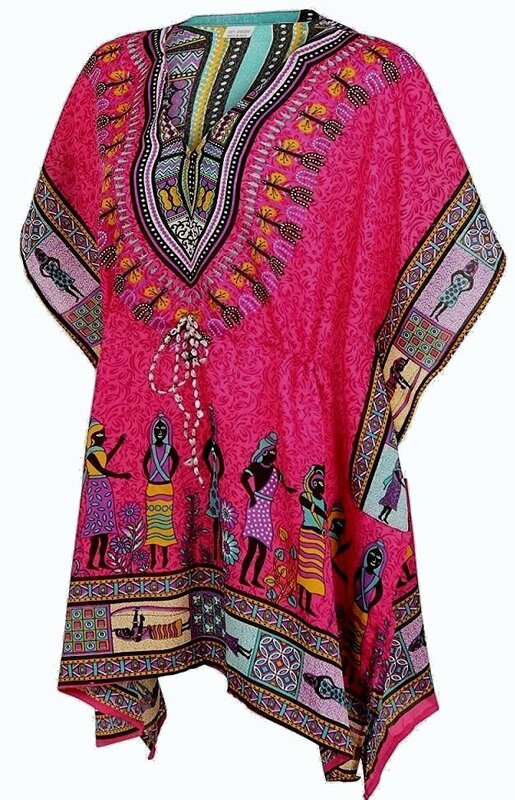 This reproduction 70s style dashiki is cut like a minidress in a plus size. is VERY THIN viscose. Not sheer, but very thin. The top can be worn as a minidress or paired with tight capris as a blouse. Currently available is a size 20. It will loosely fit a 42 chest. Tie right under the breast is adjustable. It will approximately fit a 42 stomach. Size is somewhat flexible. None are very large.